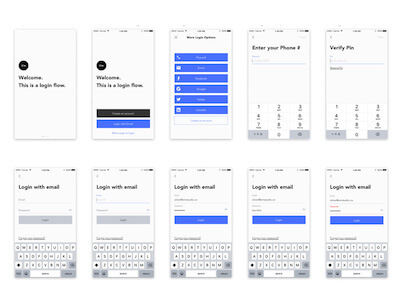 We created this UI kit for Sketch to help you quickly design and build login flows. It's created with the Runner plugin and Craft in mind to make designing and prototyping more efficient. We'll continue creating these mini UI kits with the goal of one day assembling a mega UI Library.